Join us on Dec. 18th for a board breaking seminar. We will be using the schools rebreakable boards so there will be no costs included! Mr. Alex will be teaching students different and exciting ways to break boards, will have multiple opportunities to try the breaks as well! From Dec. 21-26th, SMA will be closed for the Holidays, get some rest and enjoy some family time! During this week we will be holding classes but on a revised schedule. Starting Jan. 4th, classes will resume our regular schedule, but during this week we will big holding big group classes! These classes are a ton of fun, and if you have some time during the Holidays we would love to have you! The revises schedule is attached to this email at the bottom! School Starts in 7 DAYS!!! At the BIG Event on June 6th, we announced that we will be making substantial upgrades to our martial arts curriculum, our schedule, and the way we run our belt graduations. 1. New Schedule: Currently if you are in Black Belt Training, you are in either Level 1 class or Level 2 class. Level 1 class encompasses White, Yellow, Orange, and Green belt, and Level 2 class encompasses Blue, Red, and Brown. This means in any Level 1 or Level 2 class there can be up to 7 different colored belts. Generally this is not an issue, but the more customized instruction your student receives, the better your student can become. For the purpose of making our instruction and our classes better, we will be introducing grouping of classes. We will be having Beginner (White, Yellow, Orange), Intermediate (Green/Blue), and Advanced (Red/ Brown) classes, as opposed to Level 1 and Level 2. As a result, we are altering the current schedule. In addition to providing more customized training, the change in class allocation enables us to add even more class times to fit busy schedules. Attached to this letter is a copy of our new schedule. Please see us at the front desk, or give us a call at (405) 372-5425 to schedule students new class times even if their class time doesn’t change. 2. New Curriculum: As a Martial Arts Instructor, I feel it is extremely important to provide well-rounded instruction to my students. In our current curriculum, we focus on striking and self-defense. Although these are highly important skills, it would be a disservice to our students if we did not learn any ground/grappling skills. We will also be adding more takedowns, self defense, and weapon defenses. 3. Belt Graduations: We currently run on two-month blocks. Every two months, we focus on a specific set of curriculum. Then at the end of the two months, we have a graduation. We will now be transitioning to one-month blocks with stripe tests at the end of each month. For example: one month we might work on takedowns. The first three weeks of the month, we will learn the curriculum in class. The last week of the month, students will be tested on their knowledge of that month’s curriculum in class. If they complete all of their required curriculum, they will receive a stripe on their belt signifying that they have satisfactorily completed that curriculum block. Similarly, weapons training will continue and a switch in weapons will occur every month at the same time the curriculum block changes. To advance to the next belt, students will need to receive a certain number of curriculum stripes on their current belt. For example, Beginner students will need two curriculum stripes to earn their next belt. Intermediate students will need five stripes. While Advanced students will need six stripes to earn their next belt. Our Dragons students will be receiving curriculum stripes every week and will be required to get ten stripes to advance to their next belt. To physically receive their next belt, students will need to show their curriculum stripes at the front desk. The new belt will be ordered, and as soon as it arrives, the student will be awarded the belt at the end of their regularly scheduled class. This new graduation system is a HUGE improvement on our old system for two reasons: Cost and Convenience. • Cost: Although this part won’t change much for our Dragons, our Black Belt Training students will appreciate this. Currently the student’s event cost for a belt graduation is $25. This cost covers the belt, the event, and helps cover our overhead in setting up a two day graduation event with judges and over 100 participants. 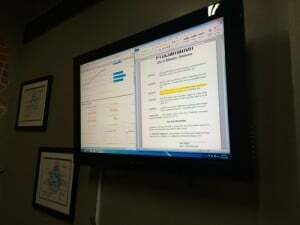 With our new system, students will be doing their stripe tests in their regularly scheduled classes. Because of this, we will not need to hold a “Belt Test” event. As a result the belt test cost will be $10 dollars (cost of the belt and shipping). • Convenience: With our current Belt Graduations, students have to fill out a form, sign up for a date and time for graduation, find out their belt size, and then perform in front of an audience. With our new system for graduations, students don’t have to try to schedule a time for graduation because they will be testing and receiving their belts in their regular classes. We will find your belt size and order your next one for you. Students will also be much more comfortable testing with their class mates as opposed to testing with other students they may not know in front of a big audience. 4. One last change ONLY for Beginners (White, Yellow, Orange): The only unfortunate part of our new curriculum change affects sparring. Our team of instructors sat down and looked at the pros and cons of Beginners sparring, and we have decided not to teach sparring until a student begins their Intermediate classes (at Green belt). This was a difficult choice to make because until this point, we have been encouraging students to purchase their sparring gear for classes, and we don’t want our students to feel like they purchased their sparring gear and now won’t be able to use it until they are in the Intermediate class. • Part One: We will still be holding open mat classes on Fridays. During this class, any Black Belt Training student, beginner or not, will be allowed to spar with instructor supervision. This way students that have purchased sparring gear will be able to practice with it. With our students who are still considered kids, we encourage them to also practice at home with their Parents or Guardians. • Part Two: If a student feels like we asked them to purchase sparring gear and now we are not allowing them to use it in class, we would be happy to repurchase it back from them; however, if you did our six month agreement that included free gear, we will not be able to offer a refund as the gear was purchased by SMA. If this is of concern, please contact me at (405) 372-5425. 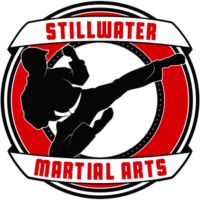 These changes are MAJOR upgrades to the way we run our school, and will allow students to receive specific training that will make them better martial artists. We realize it may take a few weeks for students to adjust. Because of this, these changes will be effective after our next belt graduation starting on July 20th. If you have any questions, please come talk to me or any of our staff. We hope our changes will serve you better! Mr. Craig and Mr. Alex are working on something BIG! They are working on a new project called The Martial Arts Compassion Project! This project will help bring martial arts to kids who otherwise wouldn’t be able to afford it. They will need your support so make sure to keep an eye out for more information! They are applying for a Pollination Project Grant to get this project going! Spring 2015 Tournament is HERE! 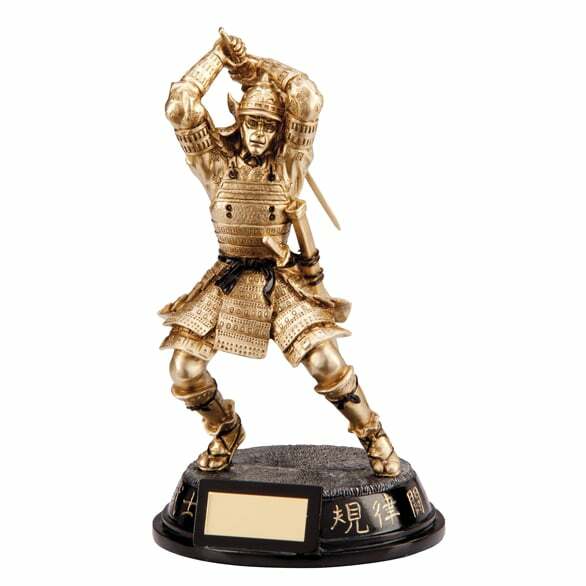 Our April Tournament is coming up soon! you will be able to compete in our Martial Arts Marathon. In this division different fun and exciting stations are set up. At these stations kids will get points and earn a medal. 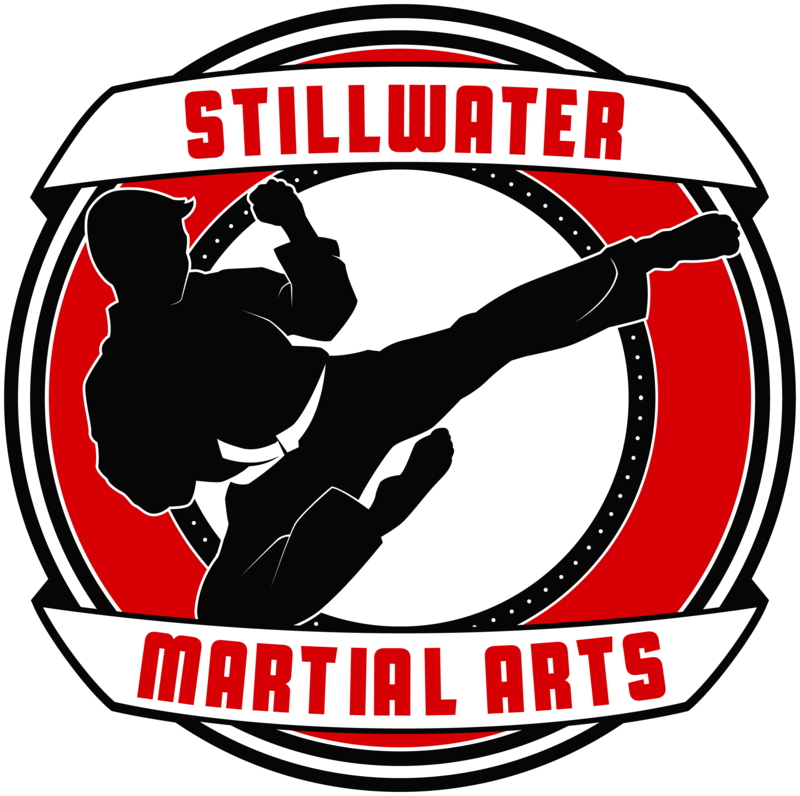 For our Students in level 1, level 2, and Black Belt classes, you will be able to compete in the martial arts marathon as well, but will not receive a medal. However, you will be able to compete in weapons, creative, and traditional forms divisions, as well as sparring! If you have any questions please let us know and we’ll help you out, especially if it is your first tournament! Sign up sheets will be available at the front desk if you lose yours. Our NEW Spring T Shirt Design will be available to purchase on your Tournament Sheets! We will have one regular shirt as well as a “performance dry fit” shirt available. Finally! 2015 Summer Sports Camp Enrollment is Here! Only 30 Spaces in each week, please register ASAP to ensure your space. We always maintain good camper to counselor ratio, so we limit attendees to be sure each camper has an amazing experience. 1) Take one week or all summer (discounts applicable); each week has a unique and awesome theme, which means kids attending more than one week stay engaged and have an amazing time. 3) Our camps include AWESOME, CHARACTER BUILDING activities like Games, Crafts, Team Building, Leadership Training, Self Defense, and even real Martial Arts classes! Do NOT wait, our camps ALWAYS fill up. Click the link to learn more, schedule a tour of our facility, or reserve a space for your child. You Can sign up on our website, just click the “Click Here to Sign Up” link, or you can some see us in person at 824 S. Main Street! Working on our 10 self-defense eating tips today. Doing some research, #1 cause of death in the United States is heart disease. As long as all goes according to plan, it should be proclaimed January 5th and the actual day would be January 28th, giving me about a month to get my marketing together. I’m sure I’ll use what I’ve learned from SAVOR as well as the other resources that have helped me lose over 25 lbs since the beginning of my test. Big Opportunities for our Demo Team this Year! 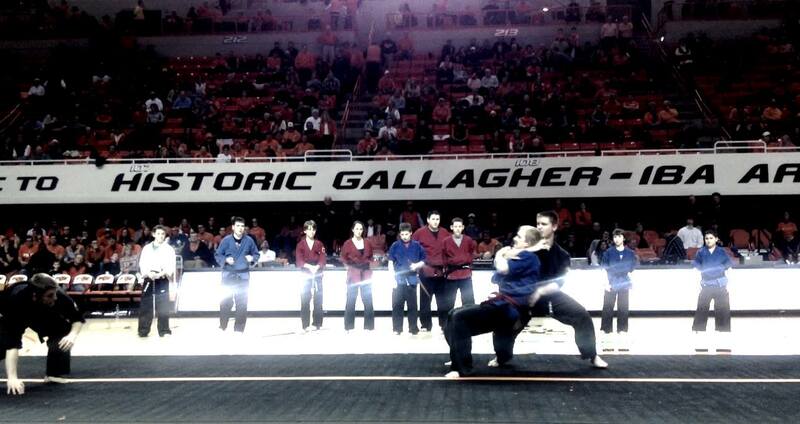 Last year our Black Belt Demo Team performed at the Men’s and Women’s basketball games at Oklahoma State University. And guess what? They LOVED it! I just got confirmation that we are invited back to both men’s and women’s games to play halftime this year against BAYLOR! This will be a big game, and we’ll be prepared. This will be our first year participating, and I’m sure it will be awesome.